﻿ Accounting Services - MCCONNELL, ROTHMAN & CO. P.C. MCCONNELL, ROTHMAN & CO. P.C. Our Firm offers a complete range of accounting services, including receivables, payables, and payroll management. We prepare financial statements in accordance with Generally Accepted Accounting Principles (GAAP) for use by banks, investors, and other third parties. 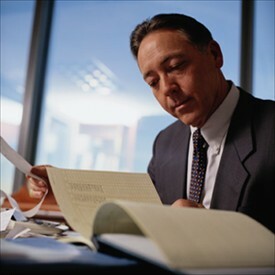 Our firm will also prepare custom financial reports for internal, managerial use. We are offering a New Online Bookkeeping Solution. Take a look at this presentation on this new service. Our firm offers expert cash flow and budgeting analyses that can help you minimize cost overruns, lost purchase discounts, and uncollectable receivables. Many of our clients state that these value-added services are indispensable. Our firm provides professional compilation, review, and audit services to businesses of all sizes. We can quickly compile your financial records into meaningful GAAP-compliant financial statements, offer limited-scope review testing, and can deliver complete audit attestation. Our firm prepares professional, GAAP-compliant financial statements as well as tailor-made financial analyses that can help business owners and managers eliminate inefficiency and realize a business's full profit potential. MCCONNELL, ROTHMAN & CO., P.C.